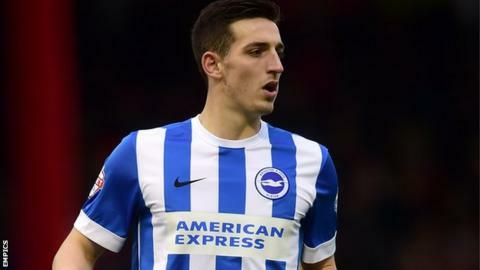 Brighton boss Chris Hughton is adamant the club will hold on to their best players after rejecting a bid for defender Lewis Dunk. The Seagulls turned down a £4m offer from Championship rivals Fulham for the 23-year-old centre-back this week. "We know the qualities that Lewis has got. He's a local lad and one we see having a very bright future here," Hughton told BBC Sussex. "We certainly don't want to be losing our best players." Dunk came through Brighton's youth system and has made a total of 109 appearances for the Sussex club since making his debut in 2010. He missed Albion's friendly victory over Crawley Town on Wednesday but Hughton said he was rested after picking up a knock last weekend. "He took a whack in the Southampton game and had to pull out of training on Tuesday," the 56-year-old added. "If we desperately wanted him to play, he probably could have done but we have to think about the weekend and our game at Aberdeen. "With Gordon Greer out, we couldn't take any chances."